I have been truly blessed this year. Lots of exciting things happening ever since I got back to Melbourne. One of which is receiving an email from Chontelle, a representative from Chobani Australia, asking if I wanted some samples of their yogurt. Of course, being a yogurt lover, I immediately said “YES PLEASE!” (: The representatives from Chobani were really friendly and super organised! I received a call from them to arrange a suitable time for the goodies to be sent to my home. They said they would try for next day delivery, but no promises. 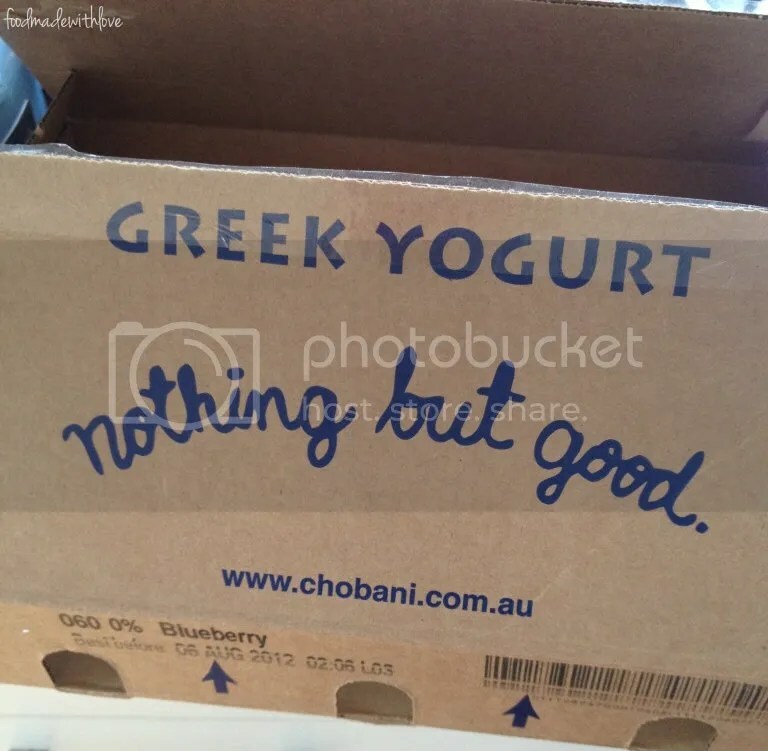 But the next morning, there was a box of delicious greek yogurt delivered to my doorstep! As you can see, I was still in my pjs! haha (: I was a very happy girl! I have to admit though, that when they told me they were going to send me some samples, I thought I was going to get a maximum of 6. So when I saw how big the box was, I was (delightfully) shocked! 12 generous tubs! I was given 2 tubs of a variety of 6 flavours each : plain, pineapple, peach, mango, blueberry and strawberry! And I couldn’t wait to dive into them! They were all either low fat or no fat (2% or 0%) which just means there are really good for u! Especially those who are health conscious. Score! So without a second thought, I tried (almost immediately after I unload them into my fridge) the pineapple! 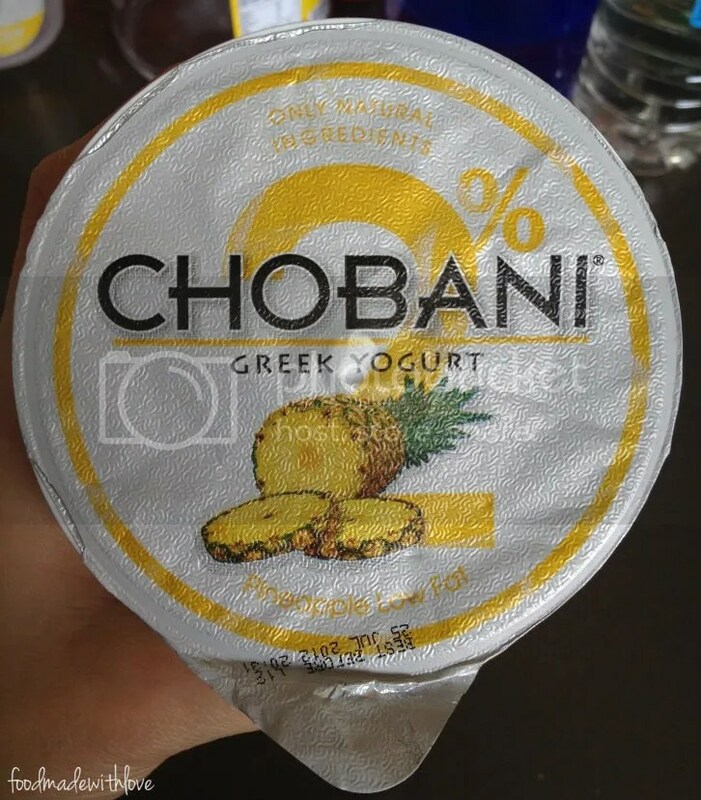 And when I first peel off the foil, I was greeted by a thick and smooth layer of greek yogurt, and started to wonder, where is the pineapple? 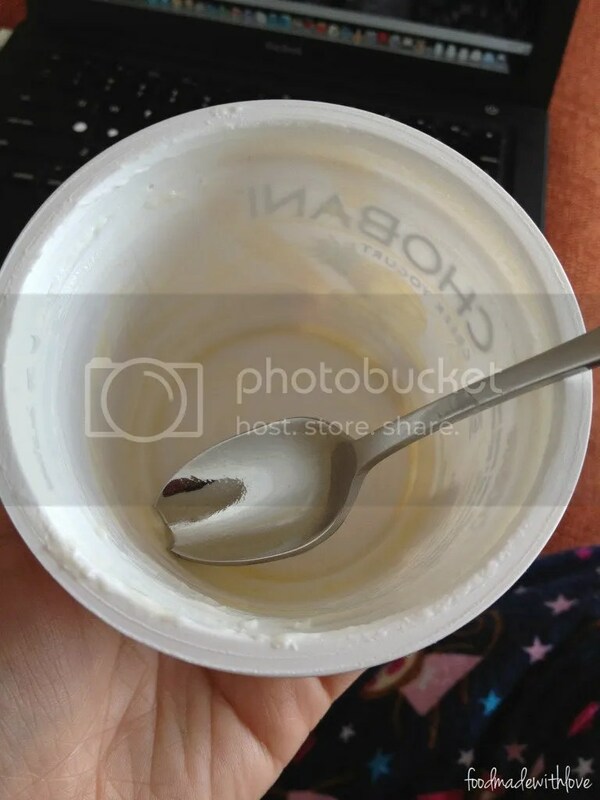 Then you stick a spoon in and dig all the way to the bottom, and tadah! the yummy, jammy layer of fruit! Mmm mmm! Almost similar to a kinder surprise where you don’t really know what at the bottom will look like till you dig in! hehe I’m not sure about you, but I only ever used greek yogurt in my cooking. The natural ones that it. And all I remember from trying a tiny bit of natural is my eye squinting cos of the tartness! 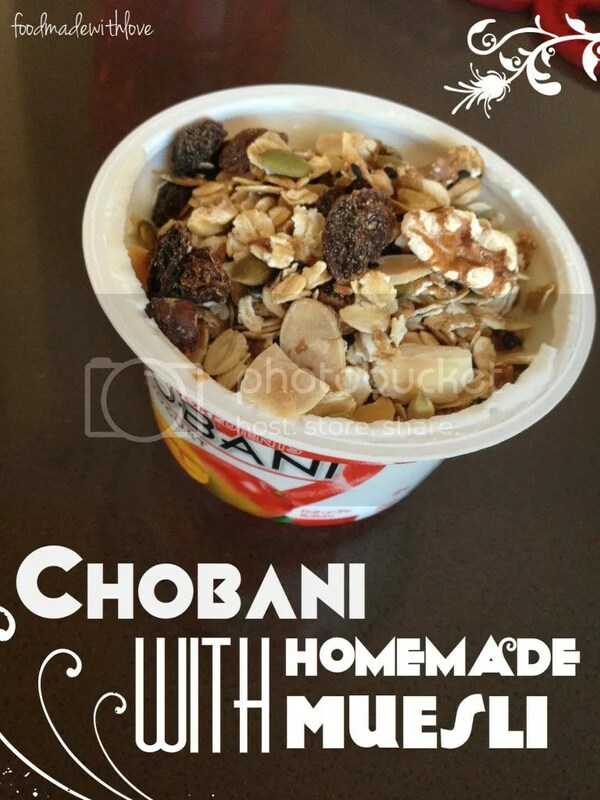 haha and before Chobani, I never had a fruity greek yogurt before. 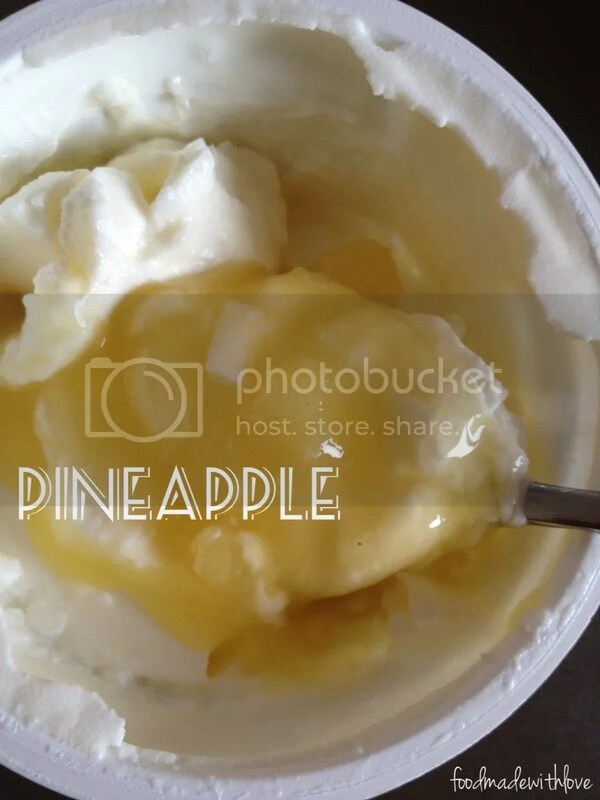 I never thought the tartness of the greek yogurt would go so well with fruits! But boy was I wrong. The jammy layer of fruit was just sweet enough to go with the thick and creamy yogurt and really complimented each other! And before I knew it. My favourite was no doubt the pineapple and also the blueberry! Unfortunately,there will always be a flavour that im not a big fan of, and that was the peach. To me the peach was a little too sour and just didn’t compliment the greek yogurt as well as the others, it still had a tartness to it, a bit too much to my liking! But I had a solution for that. I added some homemade muesli and what a good brekkie that made! And healthy too! I did that for the mango as well (as pictured) and it was really good! 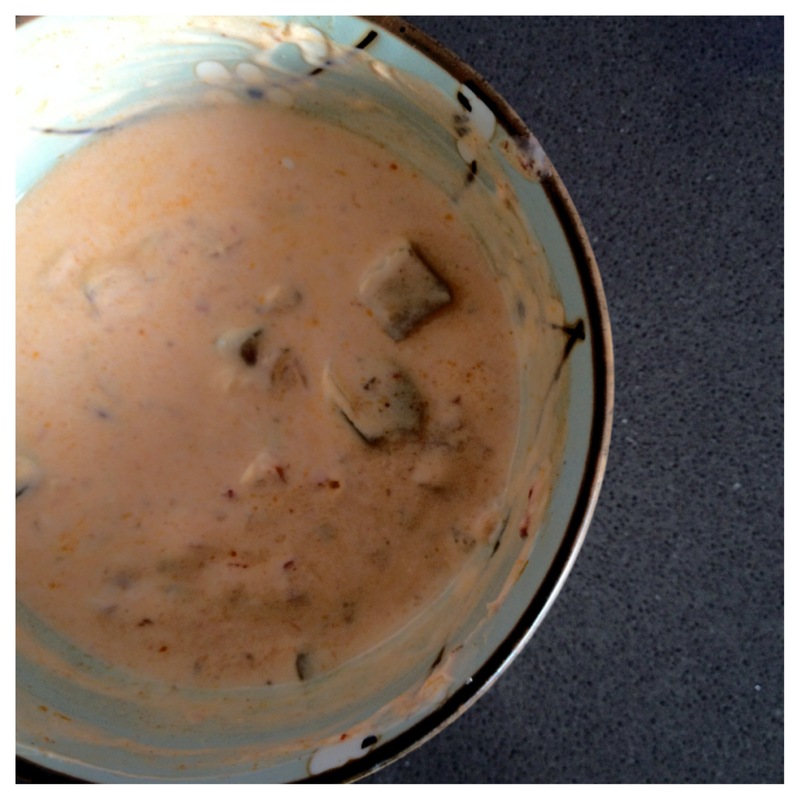 Of course, it would also go well with the natural plain greek yogurt but I had other plans for it. I mixed it with some aubergine and chilli pickle, and it went so went with my corn & okra fritters! 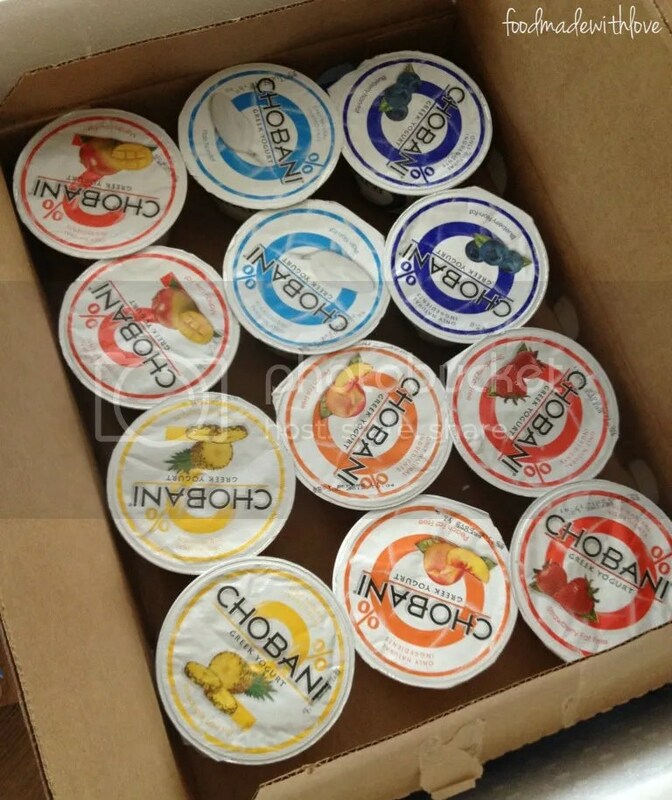 I just want to sincerely thank the representatives of Chobani for contacting me and being so generous with the samples! 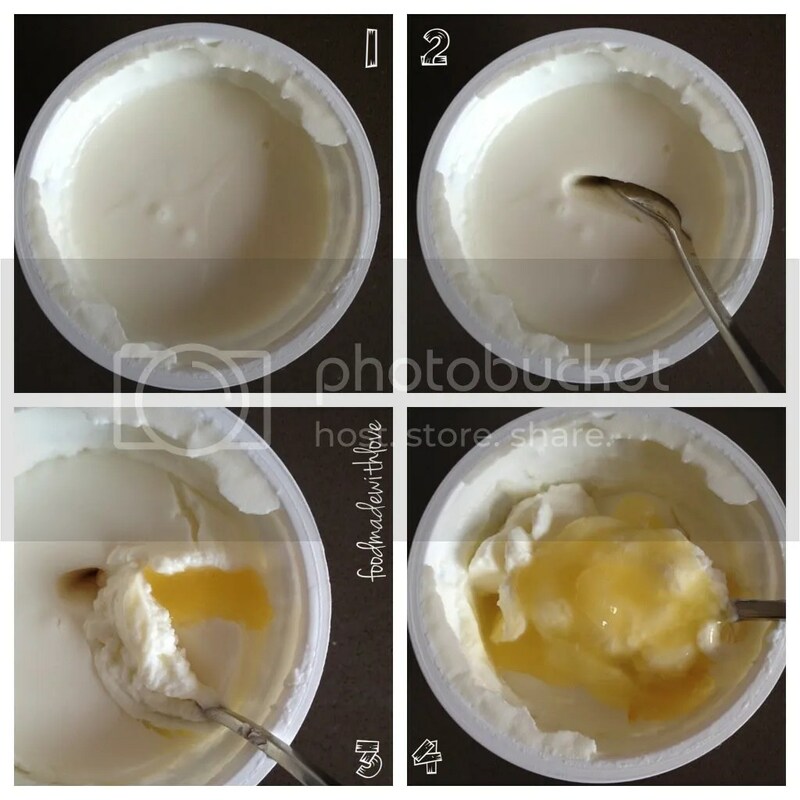 I couldn’t be happier with all the tubs of yogurt I tasted and it definitely made a good breakfast or snack for work! Disclaimer : There is no financial attachment with this post. I am doing this review as a personal opinion of the product. hehe yes! definitely all yummy! hehe nommmssss! Ohhhh so lucky!! Please be sharing the goodies hahaha. hahha (: I should huh! hehe Im sooo lucky! Hi Daisy! Hang tight, we’ll be in Coles very soon! Thank you Emily! Can’t wait 🙂 will make life so much easier!!! Hey Cath, we’ll be sure to try that one – sounds delish! Hi, friends! 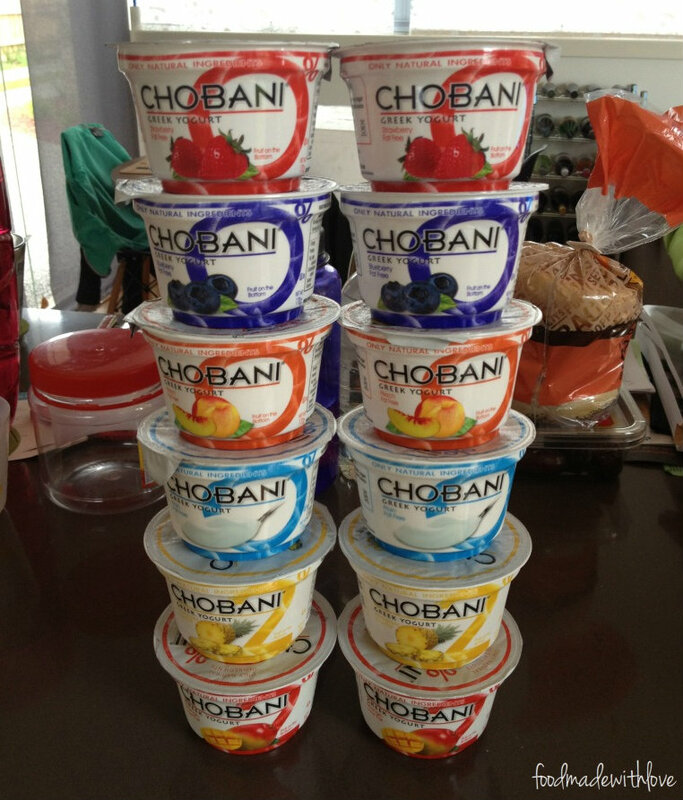 Thank you all for your Chobani-lovin’ and flavour feedback! 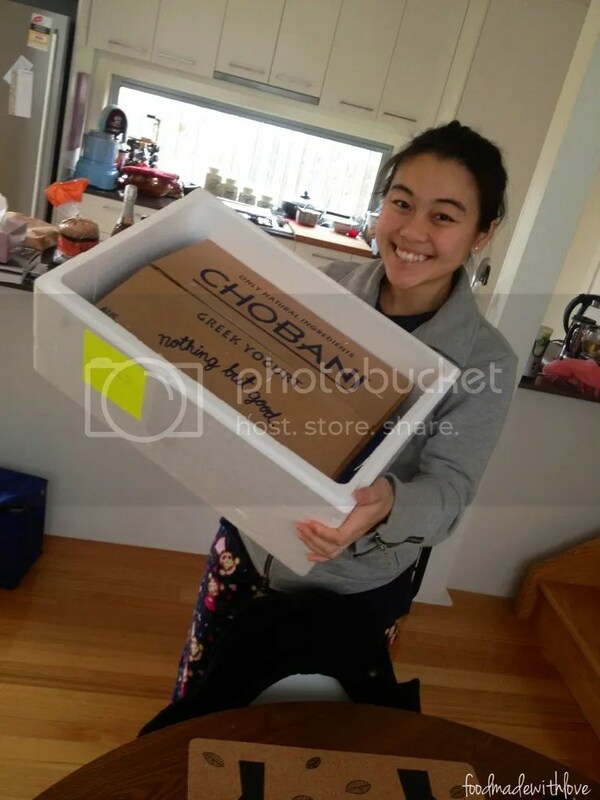 There’s lots of exciting things happening at Chobani in Oz at the moment. 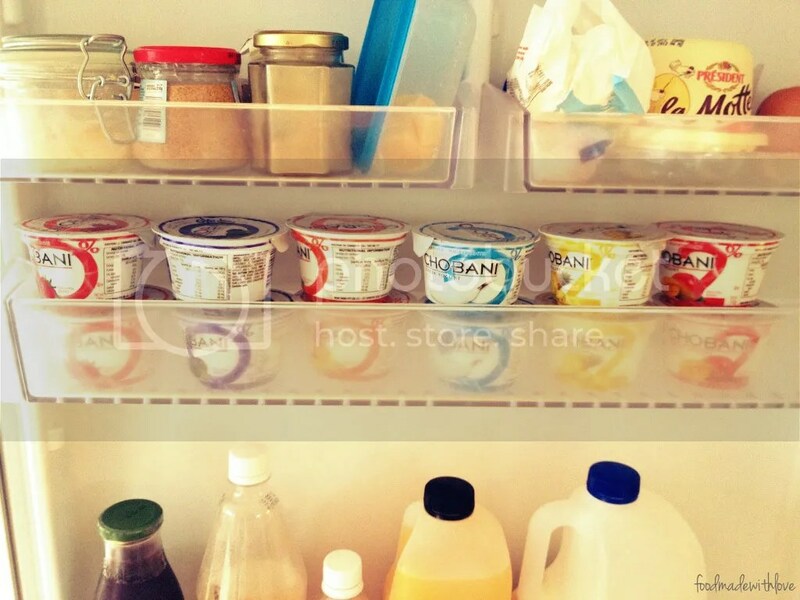 Please connect with us via Facebook (facebook.com/Chobani) and Twitter (@ChobaniAU) – we’ll keep you posted on all the latest happenings, and pretty much everything yogurt-related! Thanks for dropping by Emily! (: Really nice to know that you’re taking in all our comments and feedback! Cant wait till you guys bring in more flavours!